The Cancer Star Sign is the fourth in the Zodiac and begins at the Summer Solstice. Of all the Star Signs of the Zodiac Cancer is the most feminine and motherly and Cancerians display the traditional female associated traits of warmth, kindness, care and compassion. The Cancer Star Sign is represented by the Crab and comes under the influence of the Moon. The Cancer Star sign is from the element of water and as such Cancerians are very emotional, sensitive and often psychic. Add to this the Moons mysterious and mystifying powers and you have a recipe for strong emotions, intuitiveness and psychic ability. Cancer personality traits are characterised by a caring and compassionate nature and are said to be family orientated. Cancer is the fourth sign of the twelve Zodiac signs (June 22nd - July 22nd) and is represented by the Crab. 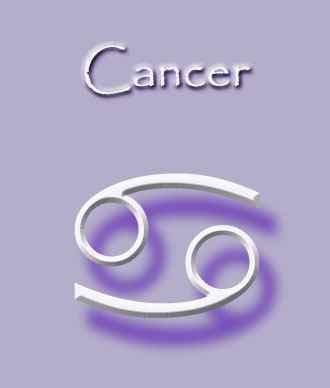 Cancer traits are developed by virtue of the fact that Cancer is a Cardinal Sign and comes from the Element of Water. The Cardinal Signs indicate action, initiation and assertiveness whereas the Element of Water denotes a nurturing and protective character, a developed intuition, intense sensitivity and understanding. Thus Cancer traits are an intriguing mix. Changeability is a big part of the Cancer personality. One minute they can appear aloof, stand offish and remote whereas the next they can be inviting and easy going. Cancer traits also include being very sympathetic and empathic to the needs of others. Many Cancerians can instantly feel the emotions and sensitivities of others and are often psychic. They are very intuitive and allow their heart to rule their head. Cancerians like to be loved but need to love and care for someone even more. Cancerians prefer to be in a loving relationship and find being single uncomfortable and uneasy. The dark Cancer traits can include unpredictability and a tendency to mood swings. They can also be overly sensitive, sentimental and possessive. Cancerians can be difficult to get to know as they retreat into their shell too easily. They can also become too clingy and needy. 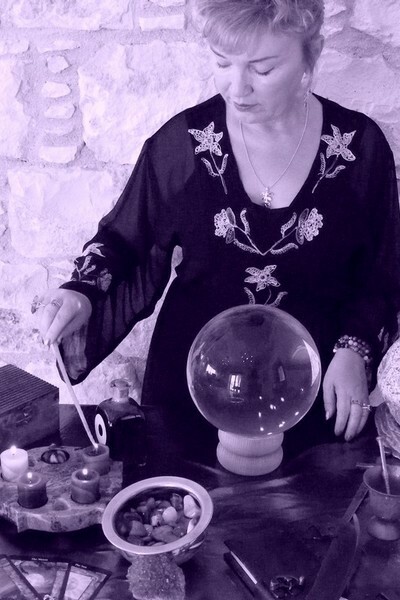 By using the precise correspondences, energies and elements relating to your particular Zodiac sign I can cast a powerful astrology Spell to get amazing results. No matter what specific wish or desire you have - abundance of money, true love, career success, protection from harm etc, your specific and personalized astrology Spell will be cast in accordance to the Law of Attraction. So why wait for fate and destiny to favour you?